One of the concerns of any conservation breeding program is how well a species raised in captivity will survive when released into the wild. Evolutionary changes that are beneficial for an individual while in captivity may reduce its fitness when translocated to the wild. For some species, like many fish, rapid evolutionary changes can occur within the first generation in captivity. And carnivores raised in captivity have a low chance of surviving the first year following their release. A review of 45 carnivore translocations, which included 17 different species, including the European lynx, European otter and the swift fox, found that if the animals had been raised in captivity they had on average a 30% chance of survival after release. All this was a concern then for efforts to help save the Tasmanian devil. The devil plays an important functional role within the Tasmanian ecosystem and is the last of the large marsupial carnivores. But the Tasmanian devil is listed as endangered and their population has declined by 80% over the past ten years. This is due largely to the infectious fatal cancer, the devil facial tumour disease (DFTD). As part of a conservation effort, a disease-free devil population has been established in captivity. 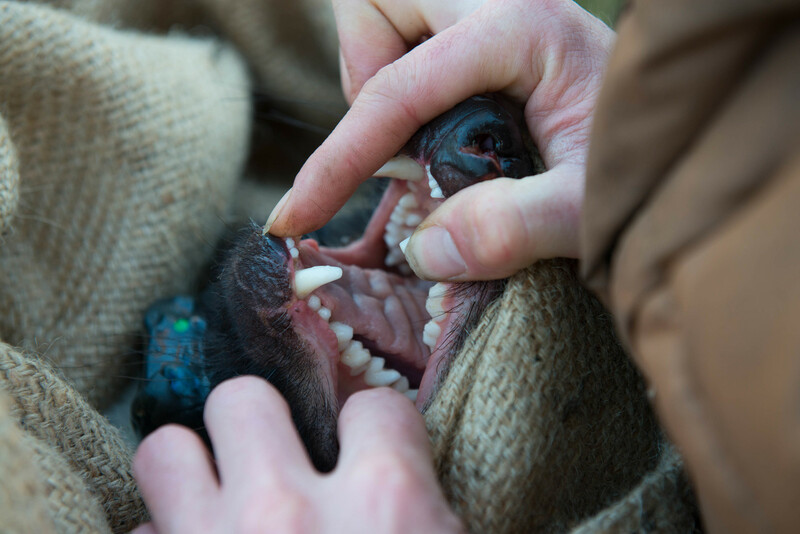 But given the low rate of survival of released captive-raised carnivores in other conservation programs it was important to identify whether their release could play a viable role in the conservation of the Tasmanian devil. Captive breeding programs are extremely expensive and resource allocation was very tight. So more than 35 institutions helped to set up the captive devil insurance population. Different types of enclosure setting were used, some intensive zoo style while others had larger pens to allow for a more free range style. The different enclosure types offered different opportunities for the devils to retain their natural behaviours. 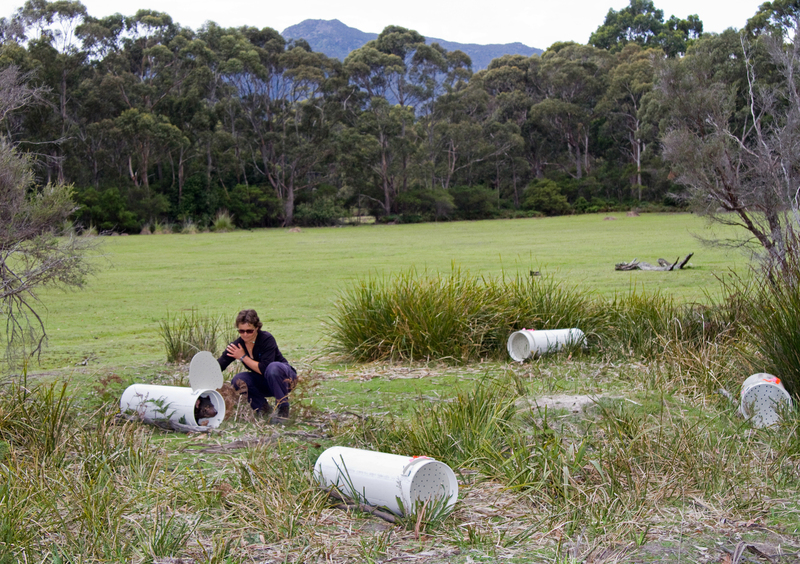 We tested the effect of the various captive-rearing methods on the survival and body mass of captive raised Tasmanian devils that were released on Maria Island, off Tasmania’s east coast. Our study, published this month in CSIRO Wildlife Research, showed that Tasmanian devils raised in captivity before being translocated into the wild had a high survival success (96%). Most of the devils are still alive two years after their release. The devils gained weight, are hunting and breeding. This is irrespective of the type of captive-rearing method as both zoo style and free range reared animals are thriving. One cause of translocation failure in other programs has been that the released animals starve. The captive-raised animals had not learnt foraging and hunting skills. Some carnivorous mammals can lose this natural foraging behaviour in captivity. But the captive-raised Tasmanian devils adjusted to the wild better than other carnivorous species. This was not only because they were released in the relative safety of an island, but it suggests that the devils’ foraging behaviour does not need to be learnt. Devils have bone crushing jaws. Wildlife Management Branch, Department of Primary Industries, Parks, Water and Environment. Devils have a massive head with bone crushing jaws, large tough molars and strong shoulders and neck. They have a very broad approach to what they will eat. Their diet includes all major critters such as mammals, birds, reptiles, amphibians and invertebrates. Devils have been seen catching gum moths out of the air, slurping tadpoles out of ponds and digging yabbies out of their burrows. They also live from the intertidal zone to the sub alpine zone. They climb trees like a possum and are good swimmers. There was less carrion available on Maria Island than on the mainland. Also the captive-raised devils would not have learnt hunting skills while in captivity so we presumed that they would not eat large prey. Captive devils feeding upon a carcass. Initially, after the first release, the devils fed on brushtail possums. But relatively soon after we found the devils started to feed on large prey, such as the common wombat and eastern grey kangaroo. These species are much larger than you would predict for a mammal of the devils’ size to prey on. What’s planned for the devils? So what does the success of this wild release say for the future conservation of the Tasmanian devil? The devil facial tumour disease has been detected across the majority of the devil’s range. The wild devil population has been decimated as the disease moved across Tasmania. It is time to boost the genetic diversity of the wild population. We need to provide the potential for immunity to develop in the species. That’s why it is exciting to have found that the captive-raised devils adjusted so well in the wild. The next step will be to supplement the wild Tasmanian mainland population by releasing further captive-raised devils, along with those born wild on Maria Island. But the devils released on the Tasmanian mainland will face other dangers. Alongside the disease they will have to contend with dogs, rodent poison and car collisions. Clearly there’s some work still to be done, but the Maria Island and captive devils will continue to be an important part of the fight against the deadly facial tumour.